Somehow we had managed to avoid it. 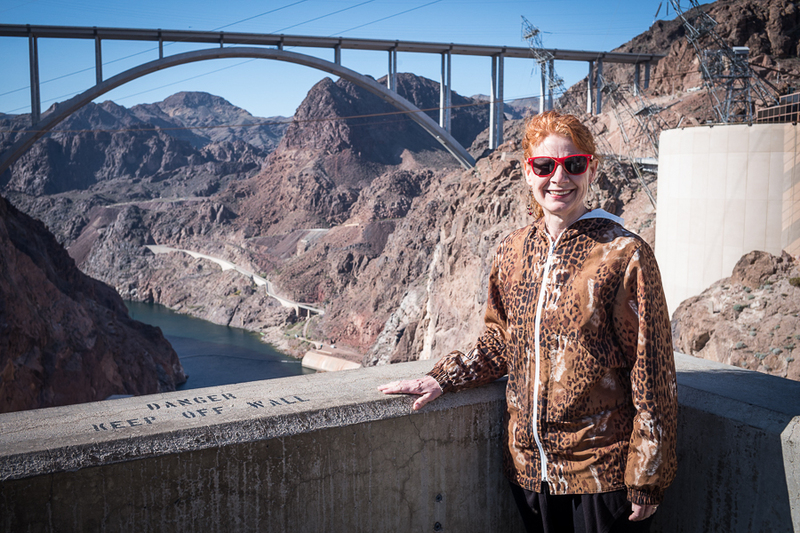 Touring the Hoover Dam. Until this year. Why this time? Not sure. I suppose it felt like a bit of an obligation. 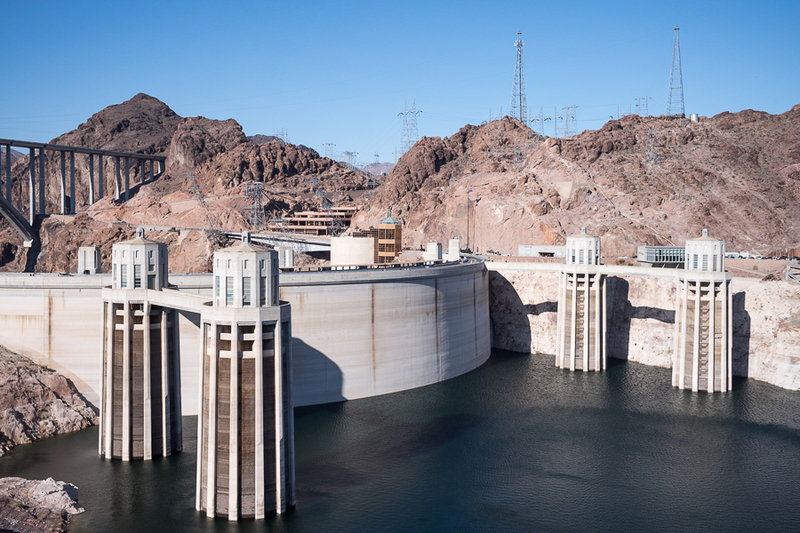 Visit Vegas, visit the Hoover Dam. We booked a Pink Jeep tour with a great travel guide, Dennis. 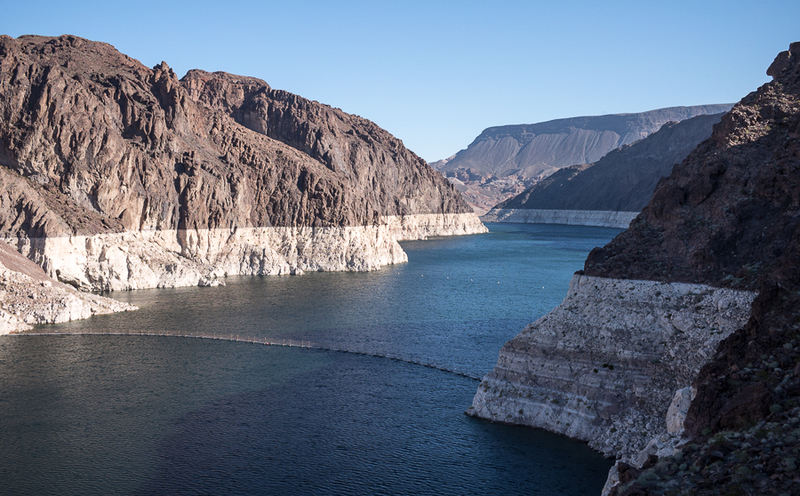 As of August 2017, Lake Mead was at approximately 40% of full capacity and we could clearly see the drop in water level in the basin that feeds into the Hoover Dam by the difference in the colours of the canyon. Dennis called the white markings etched into the canyon rock a bathtub ring. 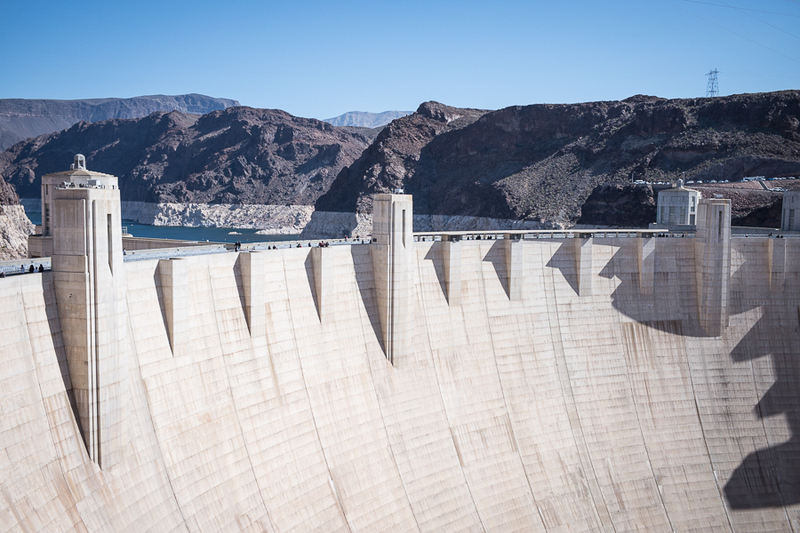 It is also obvious that the water is low when you look at this view of the dam. 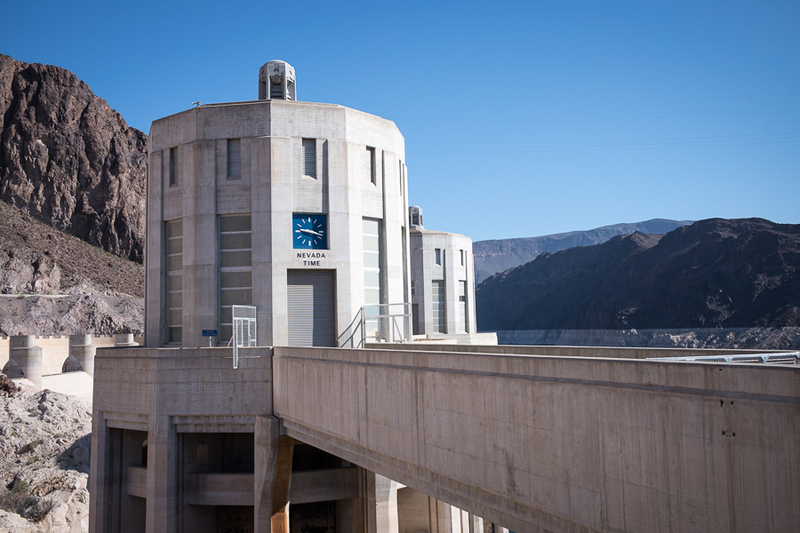 The intake towers draw water into the tunnels to drive the hydro-electric generators. Good thing that they draw the water in from a high water level as well as a low water level. Lorraine ignoring the warning sign. Two time zones at the Hoover Dam. This was the Nevada side which is opposite the Arizona side, one hour later. 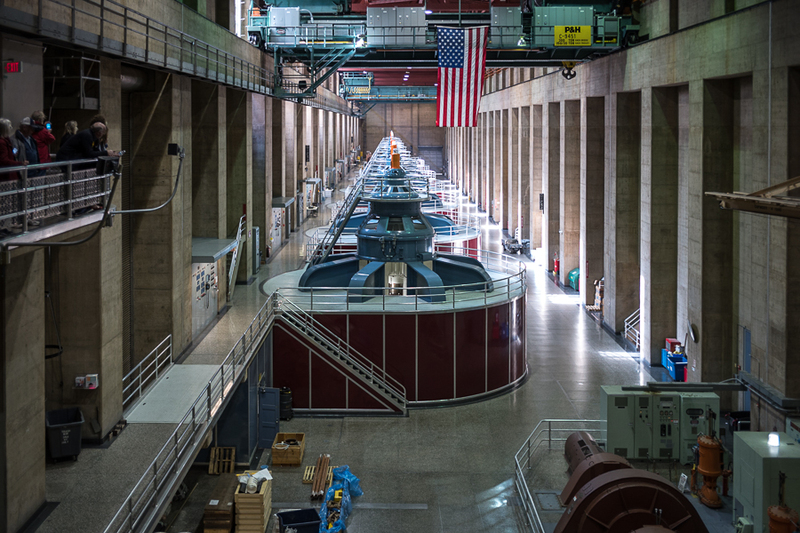 Here are the turbines that generate electricity. A shot of the face of the dam. 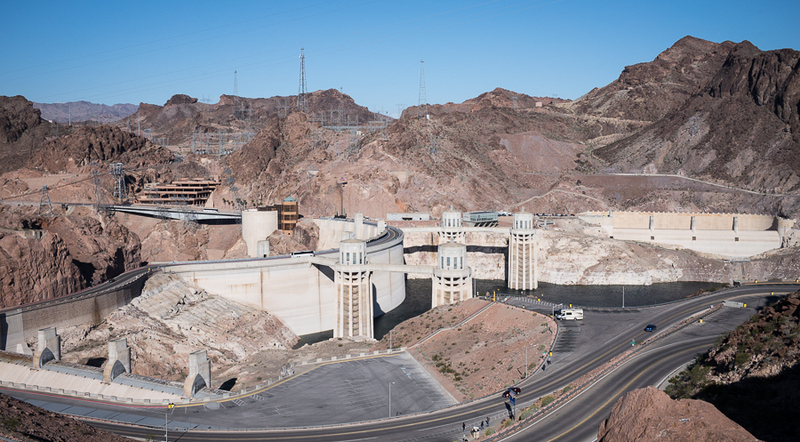 We walked to both ends of the Hoover Dam. 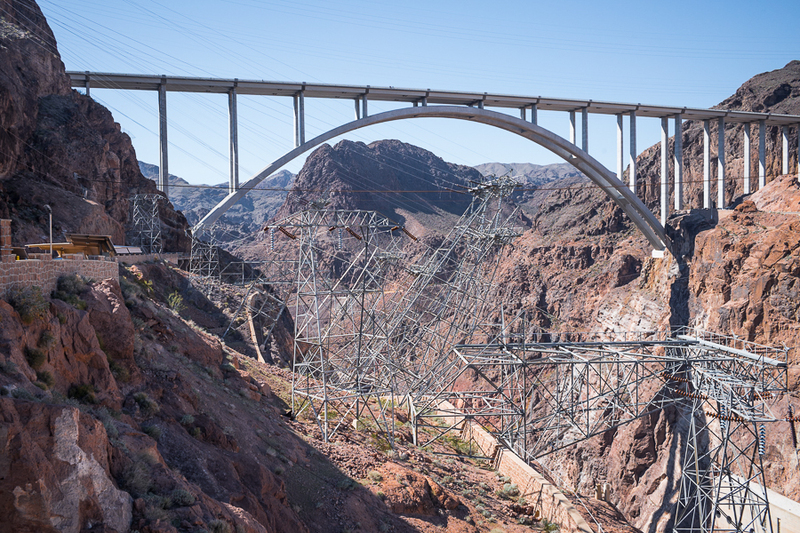 This perspective offers a good view of the new bridge that was constructed to alleviate the traffic that was forced to use the Hoover Dam roadway. 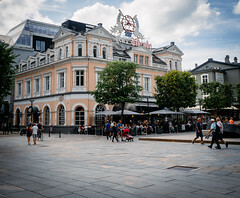 The dam is now classified as critical infrastructure and there was a visible armed presence complete with semi-automatic rifles.